As civilian drones have seen a rapid gain in popularity and accessibility, drone-related incidents have increased accordingly. While there has only been one recorded case of a passenger plane downed by a drone to date, close encounters have become fairly commonplace. On Aug. 17, 2018, reports surfaced that a private helicopter narrowly escaped crashing into a civilian drone in Hollywood, California. A YouTube user by the name of Masih Persian uploaded a video of his drone flying directly towards an approaching helicopter before avoiding it by a mere few feet. The drone operator deleted the video soon after it was uploaded apparently having gotten wind of the severity of this type of infraction and the strict penalty it carries. An FAA (Federal Aviation Administration) spokesman said the agency was looking into the matter. Earlier in the year, the first case of a drone-caused aircraft crash was reported in South Carolina. In Canada, drone-related incidents have tripled in recent years according to this article. 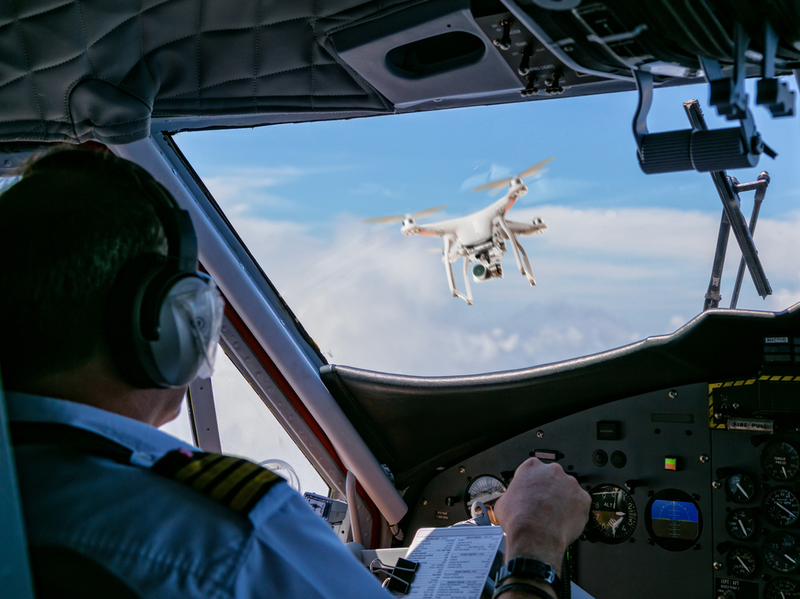 The FAA has taken the necessary steps towards decreasing the likelihood of drones crashing into civilian aircraft. However, there’s more to be done to increase awareness and minimize the risks posed by drones. Adding drone incident prevention programs to high school and college curriculum programs is one step that would likely lead to a dive in drone accidents. Another useful measure would be increasing punitive measures for unlawful drone usage including flying drones in close proximity to airports and high-security areas. These could include additional fines and prison time. One of the problems facing individuals trying to get rid of intrusive drones are FAA regulations against shooting down aircraft within US jurisdiction. Some states are looking for ways to overrule national legislation and allow for exceptions in emergency situations. This might be an inevitability considering recent developments in drone attacks.